Alas, I have been absent from the i heart faces contest for what feels like years now. Truth be told, I just have been so busy this summer with the pregnancy and the little man, that I haven't had much time to shoot awesome shots. And while this one won't win me any awards, it's the first one I thought of when I saw this week's theme. 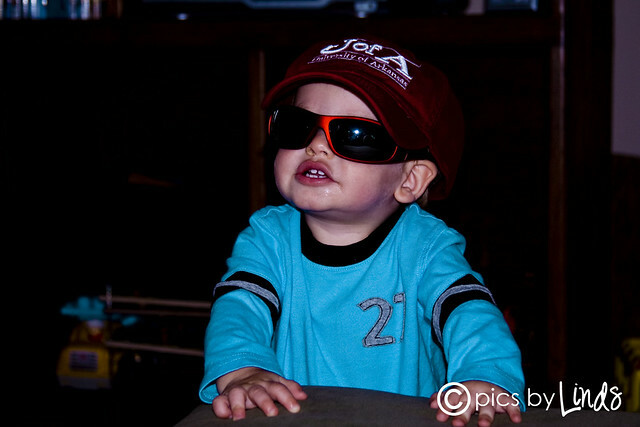 This was taken right around the time Brayden started showing an interest in wearing our sunglasses. B-man loves to be Mr. Cool-- and Mr. Cool he is! Be sure to check out all of the other entries by clicking on the i heart faces logo at the top of this post!